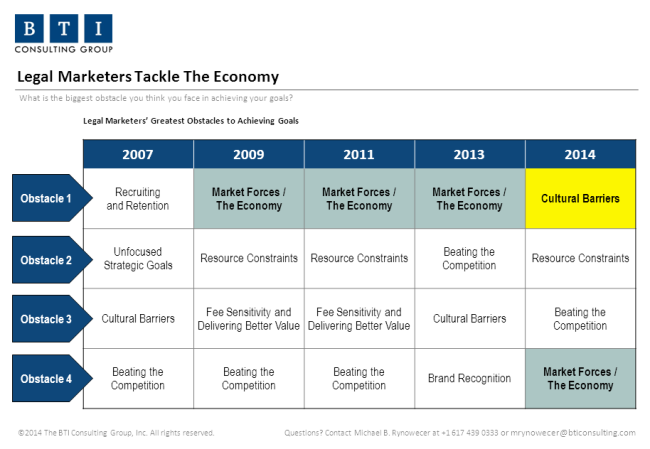 Since 2009, law firm marketing leaders have attributed slow growth to market forces. No longer. At the end of 2013, law firm marketing leaders have stared down—and accepted—the flat legal market. Market conditions and competitors’ strategies are outside the control and influence of law firm marketing leaders. And law firm marketers are changing their attitude. Savvy leaders are taking seemingly ominous market trends and using them to their advantage to get a leg up in a flat market and outpace competitors.